The World Heritage seascape of Halong Bay is the world’s most fascinating destination. Halong Bay trip from Hanoi will be a wonderful experience for not only the domestic traveler but also the foreigner. The seaplane service also takes you to the bay from Hanoi airport – about 30 minutes flight compared to four hours by road – before landing at the local marina. From here, you could board different cruises, with varying price tags, to explore Halong Bay by boat or by bike. To have a perfect traveling in Halong Bay Junk Cruise, the travelers need some tips to this plan. The journey should be in November, by the time the weather is moderate and suitable for the outside activities. In this case, you should choose the packages having a proper sailing ship. Because this is a good chance of calm sea and you don’t have to put up with that pesky engine hum. Best Indochina tours also run full kayaking tours in nearby Lan Ha Bay and you will for sure enjoy it a lot. From May to September, there could be tropical storms and north wind. But don’t worry as they wouldn’t have much influence on your trip. 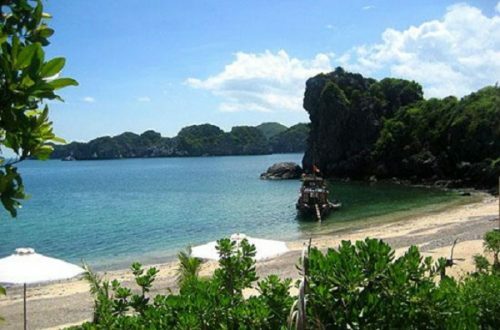 This is also the high season in Halong for domestic visitors, particularly from June to mid-August. In this time, the travelers can carry out the experiences across the beautiful coastal road. 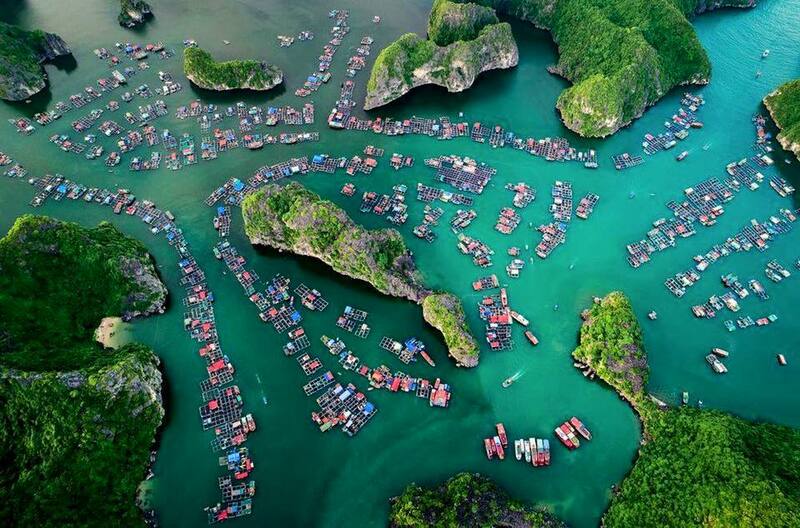 No doubt when recognizing the UNESCO world heritage site 20 years ago, the bay is one of Vietnam’s most popular travelers attractions. February to April is often cool and drizzly, you can imagine the scene has the mist an ethereal atmosphere, really like a second Da Lat. 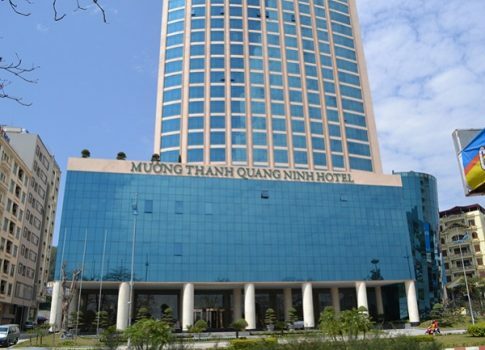 It’s definitely a brand new experience in the Pearl of the Orient when you take the best tours 2018 in Indochina tours. Although there are a lot of cruises and traveler boats, the schedule sometimes changes without prior notice due to weather condition. If you’re booking a cruise, check the fine print for what the refund procedures are in this case. 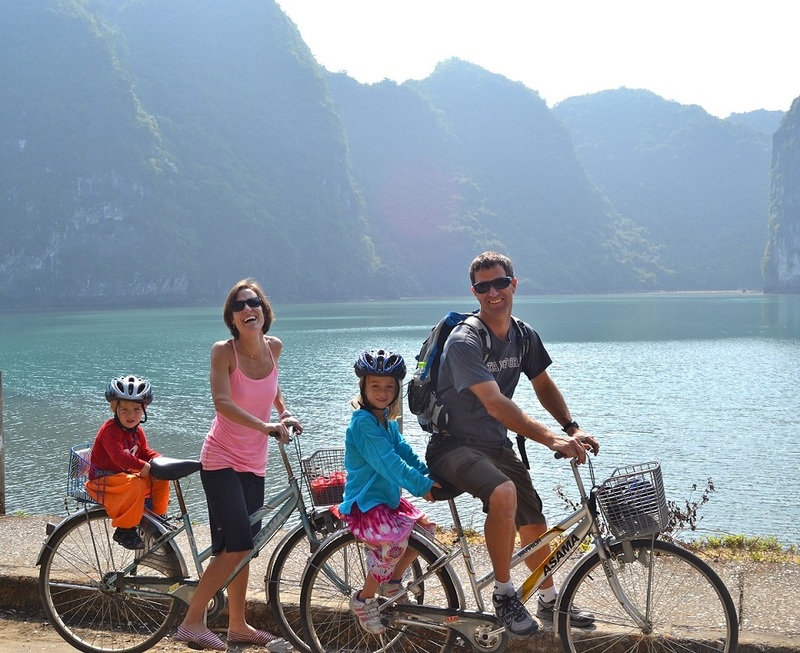 Coming Halong Bay, the travelers can enjoy the journey by the boat or the bike. 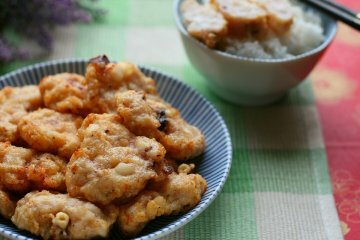 This is two typical movement way to discover the wonderful coastal scenery in here. To explore the famous attractions in Halong Bay, a bike/ double bike is the perfect choice for you to be able to experience the best. It is a definitely a new travel proof when you with your family or your friends gather cycle on the most beautiful coastal road of Halong and listen to the sea waves fluttering. The travelers can rent a bike/ double bike about 20,000 VND per hour depending on the high season. Exploring the coastal road together with fellow traveler on the double bike in the cool morning is an interesting experience, and beautiful natural paintings will gradually appear. The attractive experience by kayaking is surely not disappointed for most of visitors. The kayaking trips are run by a handful of operators based in nearby Lan Ha Bay (off Cat Ba Island) as well as Halong Bay. The traveler will drip themselves in the unspoiled caves gathering the liquid water. 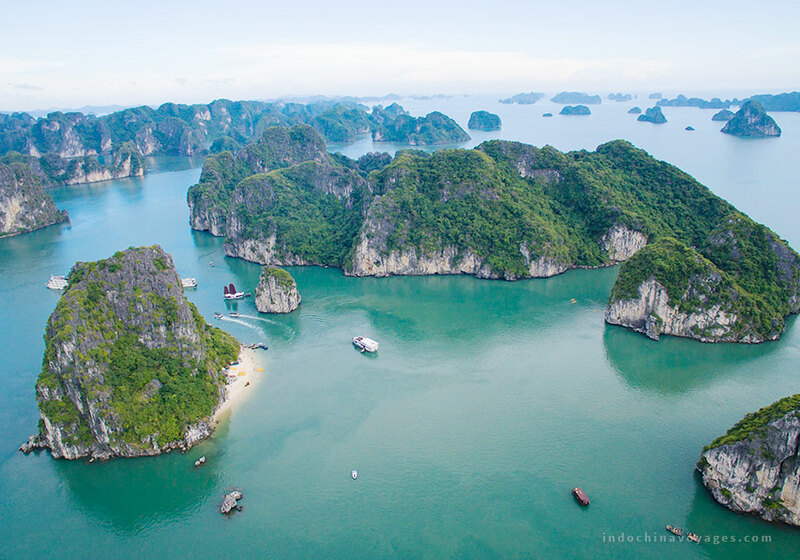 What a remarkable destination in 2018 with the Halong Bay trip from Hanoi. It’s a better idea to take a cruise that includes a kayaking stop. 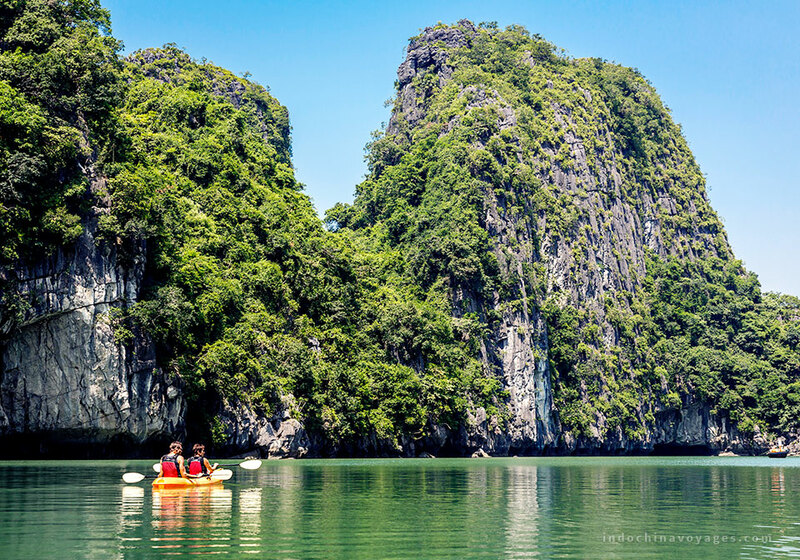 Especially, kayaking along the waterway at Lan Ha Bay would be a must-do that anyone should try when they come here. Lan Ha Bay is known as part of Halong Bay, and it is truly mind-blowing when you explore lively Dark Cave and Bat Cave that are called based on the shapes of the animals. So if you are an active explorer and you need some fresh air among the immense green nature, the amazing travel to Halong Bay will be a good decision with your companions.